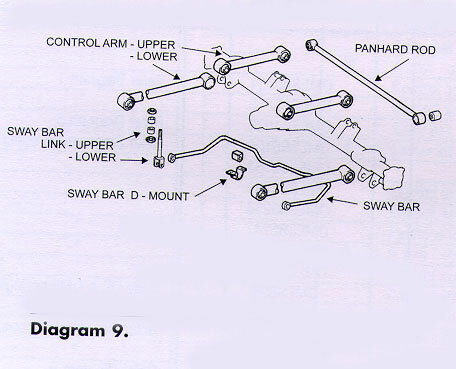 Problems with your Toyota Landcruiser's suspension sagging? Does your Toyota Landcruiser Series 80 or 100 have handling problems and an uncomfortable ride these can be common concerns for vehicle owners with standard suspension. Our OME products address these problems, OME engineers have developed suspension systems that cater to your specific vehicle characteristics. OME does this via their renowned team of engineers, who design and test every element of the suspension system - a practice unique to OME. Our kits include carefully matched spring and shock combinations engineered to improve vehicle ride quality, handling and control under various loads. We recommend you change both shock and springs at the same time. Special attention is given to improving suspension travel without adversely affecting driveline and steering geometry. In most cases, multiple spring rates and shock valving characteristics are available for each application to accommodate vehicle variations and driving preferences. Although ride height and tire size are taken into consideration with each system, the emphasis is placed on vehicle performance and versatility. In addition to providing lifts Old Man Emu Suspension enhances ride quality, articulation and longevity. 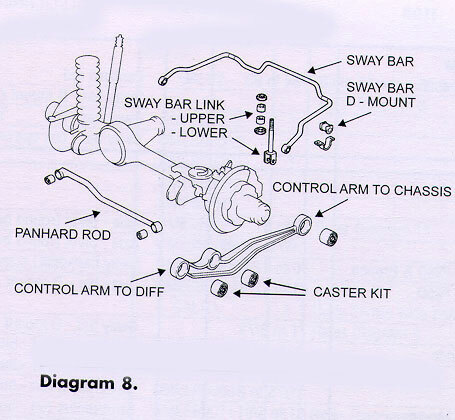 Package includes polyurethane bushings springs, greasable shackles & pins, gas shocks and steering stabilizer (sway bar extenders when applicable). Below you will find information and suspension products for Toyota Landcruiser springs and shocks. Diversity Constant and variable rate coils are available to suit a wide variety of applications — even those you thought were impossible. LANDCRUISER 100 SERIES IFS MODELS '98 ON Approx. Lift Part No. (1) OMECA77B Caster Kit will increase caster by 2 degrees. Caster angle will be affected when raising the vehicle. Check manufacturer's specification to determine if OMECA77b is required. (2) OME661 lower shock mount stone guard is recommended fitment to rear shocks to protect against severe stone peppering encountered on loose road surfaces. (3) Trim spacers may be required to trim the vehicle to a maximum of 15mm per coil. 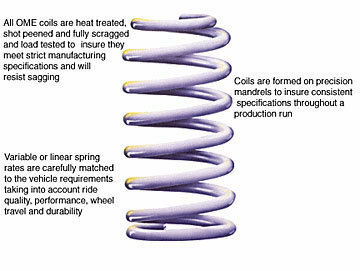 Packers must be installed on the top end of coil spring. (4) LTR Remote reservoir shock absorbers are for competition use and require regular maintenance. (5) OME850J / 863J coils and N73L/74L shocks should be installed together, although they do not comprise a kit. Fitment of N73L/N74L shocks requires mandatory installation of .75" (20mm) Front and 1.25" (30mm) Rear bump stop spacers to the front and rear suspension to prevent shock absorbers from bottoming out under full compression. These bump stop spacers are not available from OME and will need to be sourced by the installer.